We offer hands-on training for persons or groups (in Singapore and around the region) who are interested in harnessing the power of Blender 3D, the definitive Open Source ( & free ) 3D Modelling, Rendering and Animation Program. The Trainer is a member of the Blender Professional Network. Below is a list of the Structured Blender 3D related trainings. Additionally, we also provide customised 3D training to suit Client’s specific needs. Our Client base include Multinational corporations (MNCs) and Tertiary Institutions. For enquiries, please contact us at +65 97101546. Leveraging on the power of Blender the opensource 3D solution, the training covers techniques for 3D modeling and rendering. No previous experience in any other 3D software is required. The training does not cover just tools and commands. Instead it focuses on methods and techniques for creating 3D models and artworks. The training comes with an accompanying printed teaching material (shown above) that is structured in a systematic manner. This teaching material is designed solely for this training and is not available elsewhere. This section introduces one to the Blender 3D interface. This section talks about basic modelling workflow. It covers various techniques of modelling including those that allow one to built objects from scratch, in addition to those that involves the modification of existing objects. Solutions for fixing problematic mesh objects are also presented here. This section focuses on more advanced modeling methods for building objects with organic free forms as well as those with symmetry. This sections shows how objects can be given materials to make them more realistic. This section show you how to bring material creation to a new level of realism using procedural and image map texturing. This section show how lights can be used to simulate indoor and outdoor environments. This section show how the 3D model and file can be rendered into a realistic 2D images and how the image can be saved as a popular file format. This sections contains tips for streamlining the 3D art making process. 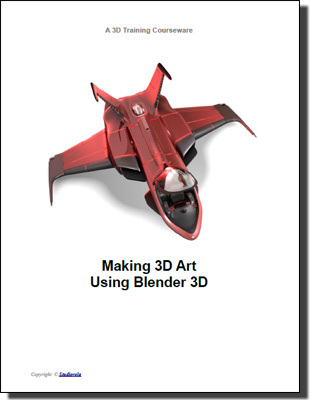 This course pertains to using Blender for 3D Modelling. Participants do not need to have prior knowledge of 3D or Blender. The training comes with an accompanying printed teaching material (shown above). In this chapter, we will cover the basic principles of 3D mesh modelling. These methods help lay the foundation for building more complex models. In this chapter, we will cover the principles of 3D modeling pertaining to sculpting. In this chapter, we will cover some useful tips and hot keys. This course pertains to using the Cycles Renderer within Blender for creating realistic and compelling visualisations. 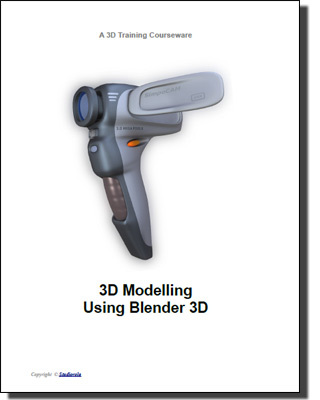 This training is meant for persons who already have prior knowledge of Blender 3D. The training comes with an accompanying printed teaching material which as illustrated above. 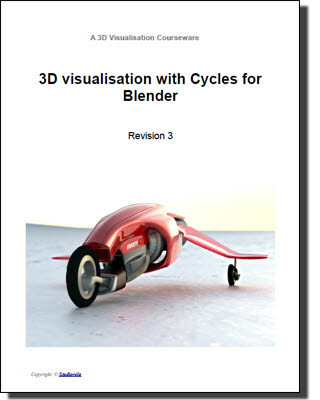 This section introduces one to the Blender – Cycles 3D interface. times. This chapter aims to make it easier to understand. Light is an indispensable part of 3D rendering technology. This section covers Lights or Lamps types pertaining to Cycles. This section covers environment settings which are located mainly in the World Panel. Cycle’s environment settings can be used to create realistic backgrounds. This section covers Cycles rendering modes and settings. This chapter explores the creation of photographic effects using the Node Compositor. Although this chapter is not directly related to the Cycles Renderer, Node Composition can be used to enhance the final render. Thus, it is a useful knowledge to have. This chapter explores the creation of Physically-based rendering (PBR) ready materials. It explores material addon for enhancing usability. This section illustrates material examples. This course pertains to using the Compositor within Blender for creating realistic and compelling visualisations. Composite Node extends Blender’s rendering capability by providing post-processing ability. This often results in more realistic or stylised renders as compared to the original render. This training is meant for persons who already have prior knowledge of Blender 3D. This section introduces one to the Blender – Node compositor interface. Nodes is not a paradigm specific only to Blender. In fact, it can be found on other modern graphics programs as well. This chapter covers essential nodes concepts. This chapter covers methods of organising nodes for the purpose of reducing workflow complexities. It will explore the concept of node groups and how they can be created and re-used. 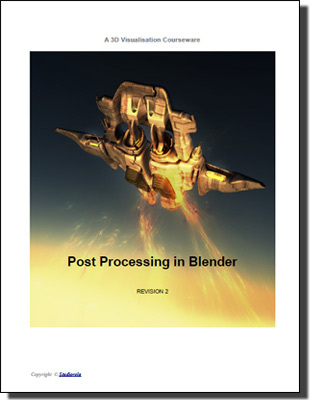 This chapter explores various methods of combining and blending result and processes. It will cover Alpha-over and Mix nodes. It will also talk about composing elements from different scenes. This chapter explores various methods of creating photographic effects using the Node Compositor. It will also explore ways of enhancing renders for added realism. This chapter explores methods of color correction using the Node Compositor. Colour correction can help in integrating different elements for a better composite. This chapter explores the creation of special effects using the Node Compositor. It will also cover some animation effects using nodes. This chapter contains additional miscellaneous information. It mainly pertains to the Video Sequence Editor and on how it can be used for compositing purposes. 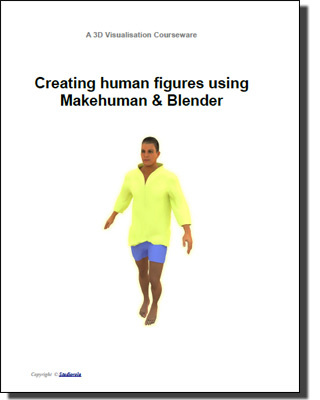 This course pertains to using Makehuman and Blender for creating pose-able human figures. The training comes with an accompanying printed teaching material which is as illustrated above. This chapter covers the exporting of 3D figure from Makehuman to Blender. This chapter covers editing of the human figure. This chapter covers creating and rigging the clothes within Blender. This chapter covers cloth simulation for enhanced realism to cloth shaping. In this chapter, we will cover the steps needed to save Poses that can be reused. Interested persons, kindly email us at info@studiorola.com or call us at +65 97101546. Note: The Trainer is bilingual and is able to effectively conduct the lessons either in English or Chinese (Mandarin). He is active in promoting Blender 3D as a viable solution for 3D Creation. ← Previous Previous post: Is GPU for 3D rendering the new trend?